Ever since playing the 1983 Star Wars Arcade game, I have loved video games. After my initial secondary school education, aged sixteen, partly because of a love of video games, I briefly tried to study computer programming, until I realized I was really bad at mathematics. Such games offered excitement and fun, and more importantly, access to a world elsewhere to a boy that was often, due to his disabilities, unable to go outside. The golden age of gaming for me was the 1980’s: I was the boss on the ZX Spectrum, a master of ‘Jet Set Willy’ and ‘Batty’ – the latter was a kind of ‘Pong’ clone. Later came the SEGA and Nintendo, and the whole console market began, and I briefly enjoyed my time with Sonic the Hedgehog and everyone’s favorite plumbers, Mario and Luigi. My enjoyment was brief because in 1996, when the Nintendo 64 was released, ‘controllers’ replaced ‘joysticks’ as the default way of interfacing with a game. Joysticks were ideal for a person that ultimately has developed motor control in only one hand. These new ‘controllers’, that had a number of buttons on the right hand side to control the players actions, and a kind of directional control pad on the left for a player’s movement, prompted a temporary suspension of my relationship with game consoles, and gaming in general. Sure, I could pay extra to buy a joystick, but why should I? Why not make the game accessible to all who want to play it, why should you have to pay extra because you have a physical impairment? The arrival of Pokémon Go reminds me of such childhood frustrations with gaming and accessibility. 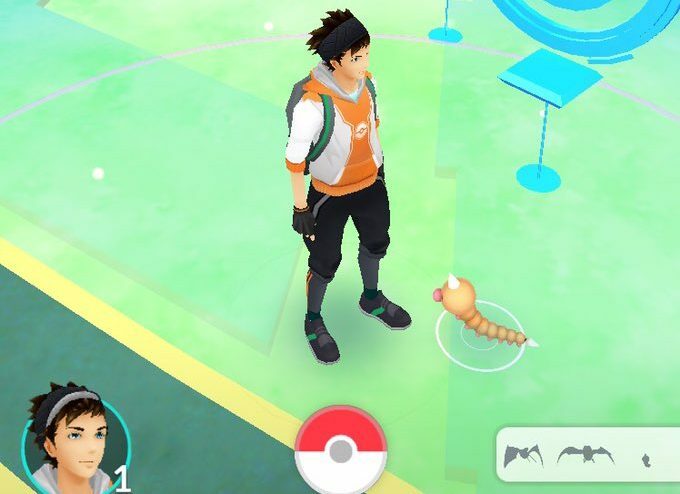 For the uninitiated, Pokémon Go is an ‘augmented reality’ game, available on smart devices where players seek out Pokémon; imaginary creatures that, through a combination of camera and GPS technology appears to exist in the actual world. The player has to be physically in the environment being captured by the camera, so if you were searching for Pokémon in downtown Tokyo, you need to be in Tokyo. This makes the game difficult to play for people with disabilities. Gaming has always been difficult for people with physical disabilities, and one has to concede that there may well be practical limitations to how accessible we can make video games, although there is good work done on making games accessible, by groups such as Ablegamers, that often goes unnoticed by game developers. It will be objected that there are other games, and it is true, you can play something else. However, I find that response to be unsatisfactory. It is after all, the 21st century and just as we should not be excluding disabled people from society, we shouldn’t be excluding disabled people from our imaginary worlds. Yes Pokémon Go is an ‘augmented reality’ game, meaning it’s a fantasy game based on actual surroundings. The keyword there is ‘augmented’, from the verb ‘to augment’ meaning, according to Dictionary.com “to make larger; enlarge in size, number, strength, or extent; increase”. Augmented reality games are meant to present the player with an imaginary world based on their real surroundings. My question is this: why do we require our imaginary worlds to obey the laws of physics? There is (sadly) in reality, no such creatures as Pikachu, nor do plumbers actually jump as high as Mario and Luigi. Yet we accept such creatures as actually existing within the game, but make no accommodations in gaming for people with disabilities. In my own personal augmented reality, my walking stick allows me to leap tall buildings in a single bound, and GPS can offer the pretense of my having done so. Augmented reality should be a kind of liberation for gamers with disabilities, we can experience other worlds and our own worlds differently, but I feel to too much emphasis is put on the ‘reality’ aspect and not the ‘augmented’ part. If I can appear to walk down the street where my parents live thanks to Google Street view, many miles away from where I actually reside, I can appear to have climbed Mount Fuji. When did our imaginations get so grounded in real life?